Humans are known to make judgment calls fairly quickly. It’s because of our snap judgments that first impressions are incredibly important. Whether you’re meeting someone new or viewing a home, it takes less than 2 minutes to decide whether you want to be around that person or space. This is why selling a home can be difficult. When you own a home, it becomes a reflection of your preferences and personality. The colors, textures and fixings you use might appeal to you, but can be distracting to a potential buyer. A realtor will do whatever they can to sell your home, but if the buyer can’t envision living there, it’s a hard sell. 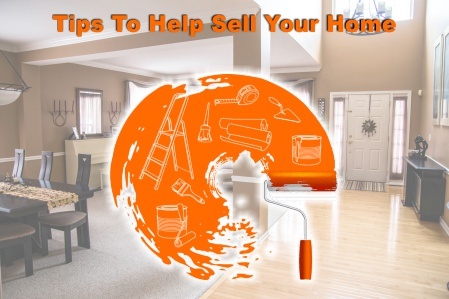 Consider the following easy and inexpensive tips to make your home more appealing. Try to not make any major changes, though, unless they increase the value of your home. Make sure your lawn is cut, the shrubs are trimmed and your driveway/sidewalk is swept. If any paint is chipping or faded, touch it up with a fresh coat. You could also power-wash any dirty areas and windows. Add small decorations – like potted flowers or hanging baskets – near the front entrance. Make sure doors open and close without squeaking. Do a quick inspection of the exterior to make sure nothing is missing, damaged or rusted. De-clutter and dust off counters, desks and shelves. Keep the items on them to a minimum. Clean all rooms and ensure they are well-maintained. Make sure all lights turn off / on. Unclog any drains and fix leaky faucets. Be sure to test each room with plumbing so that a potential buyer doesn’t discover a problem. Fix cracks and stains on the walls / ceilings. Ensure all doors and windows open and close easily. Wash windows and vacuum floors. Use an odor neutralizer to eliminate any lingering smells. Spot-check for any additional problems. You will want your home to be as bright and inviting as possible. Keep the shades and drapes open to allow light in, or (if nighttime) turn lights on as guests walk into each room. If possible, leave furniture in main living areas to help potential buyers envision the space being used. Try to avoid hanging around while the house is being shown, and keep electronics off or on low volume. We hope this helps you better prepare for an open house or showing appointment. Your RE/MAX Showcase Agent will do everything they can to help you sell, so try to give them the freedom to show your home. Take a walk with the kids and dog, go out for a small treat or visit a neighbor. It could make a huge difference in selling your home.